The man, the legend and the clothes. 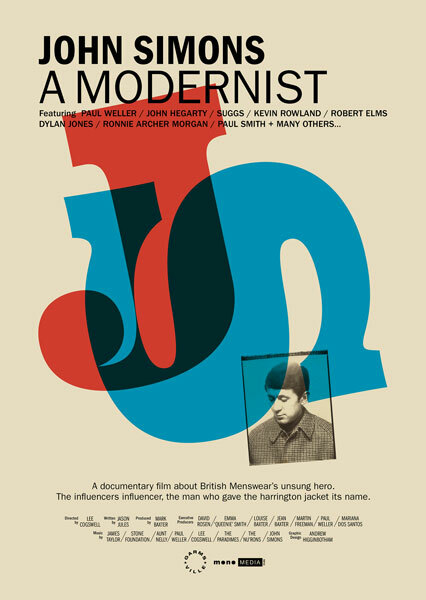 A new DVD looks at the life and work of John Simons, with the appropriate title of A Modernist. We obviously wanted to take a look. I remember my first visit to the John Simons shop. I dragged my girlfriend (now wife) to a corner of Covent Garden and into one of the few shops that wasn’t packed with tourists or fashionistas. The man himself was behind the counter and could’t have been more helpful. After a bit of browsing, I bagged a pair of Weejuns (and I still have that original bag) and left knowing it wouldn’t be my last visit, despite living at the other end of the country. It was a place like nowhere else then and now. 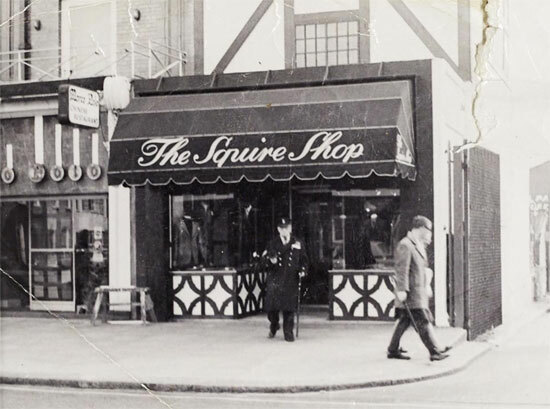 The shop has moved since, as it has done in the past, but the legend and the clothes remain. 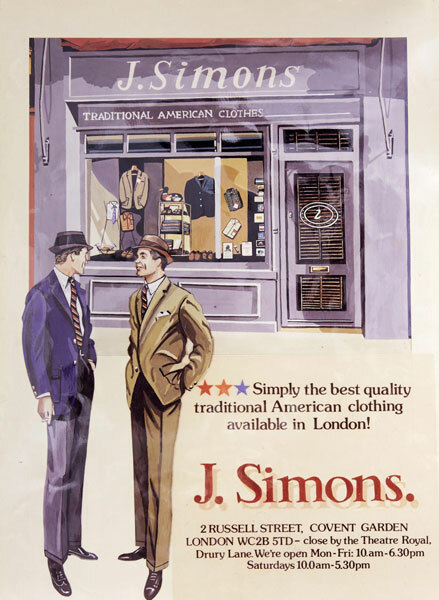 In fact, John Simons’ stock has never been higher. 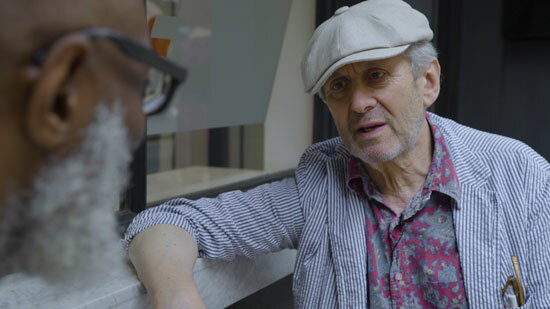 It might well go up a few notches after the release of this particular labour of love, a documentary by Lee Cogswell, Mark Baxter and Jason Jules, looking at a man who has survived in the fickle world of fashion for around six decades by simply staying faithful to the timeless styles he loves. 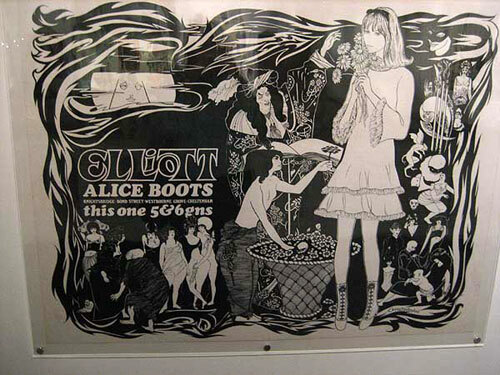 Simons’ career is almost a timeline of modern culture, starting out at a time when youth culture was really just beginning after the malaise of the post-war years, working the windows of key retailers as a youth and was a result, getting hands on with the American labels that were coming to the fore and onto the shelves. 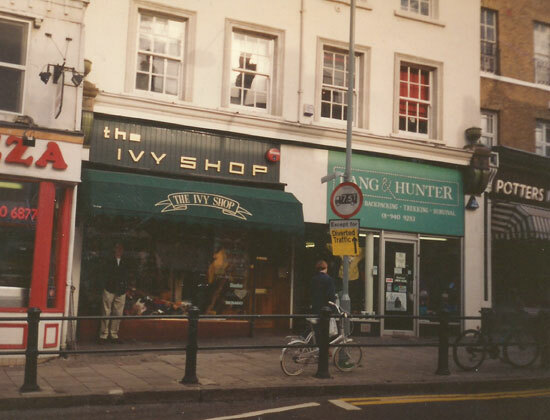 From dressing windows to selling clothes, it seemed the obvious step, with Simons talking about his first move to the markets with Clothesville, selling fashion to the Mods in ’63 (pea coats, slim trousers and cord jackets for example), moving onto the Ivy Shop in Richmond in 1964 and expanding the range to include raincoats, Harringtons (yes, JS did give the jacket its name) and button-downs, some made locally and sourced in the US. The latter is probably what made the John Simons ‘brand’ and something that still makes him relevant to new generations today. 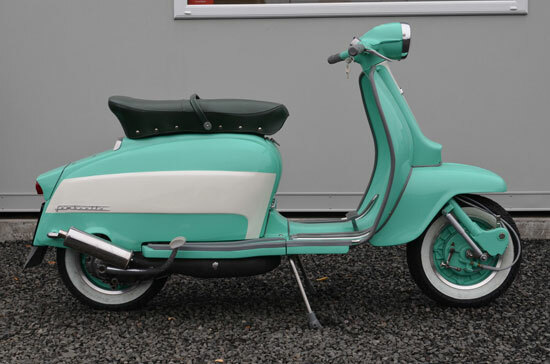 John had the ‘eye’, heading to America to pick out what he saw as the items that would work for UK customers and in its earlier days, whether that was the mods, the skinheads, the suedeheads or any any other sharply dressed youth or gent. He curates a range that has appealed to youth cults and over time, an older crowd who still want that considered and timeless ivy look or those who want a slight re-invention of the modernist look sported by the jazz icons of the 1950s. 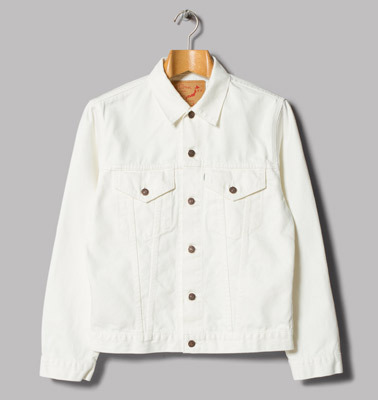 Over time some authentic vintage has made it to the shelves, as well as own brand goods from the Apparel Company offshoot, designed to appeal to both younger generations and more established customers. 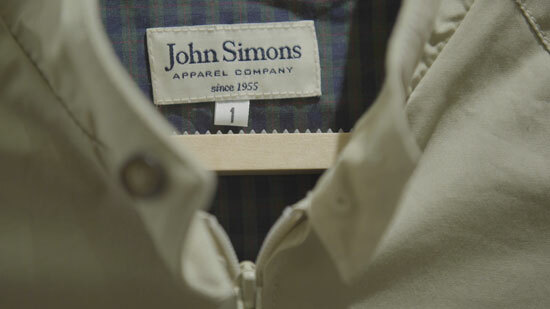 At the end of the day, John Simons still sells a classic and standout look for all ages, whether that was from the Squire Shop in Soho in ’67, Covent Garden a couple of decades later or the Chiltern Street store of the modern era, which is now being run by John’s son Paul. If you want some meat put on the bones of that story, you need this DVD. Essentially this is a tribute to John Simons and the concept he has created in the words of both John Simons himself and some of his regular customers and for want of a better word, his ‘fans’. Those people include the likes of Kevin Rowland and Paul Weller (both of whom have taken the ivy look to the masses with their respective bands), along with Suggs, Robert Elms, art expert Ronnie Archer Morgan, GQ’s Dylan Jones, advertising guru Sir John Hegarty and clothing maker and retailer Sir Paul Smith. But not just the big names, the DVD also has the input of fans and customers, including some passionate words from John Wild (aka Bomber from the old Modculture forums). Oh, and John Simons himself along with son Paul, the current manager. All have their own their own take on and memories of John Simons, whether that’s from the Ivy Shop, Soho shopping at Squire or stumbling into the store in Covent Garden in the ’80s, painting a picture of the shopping experience, the clothes they picked up and the youth cults that kept the tills busy. 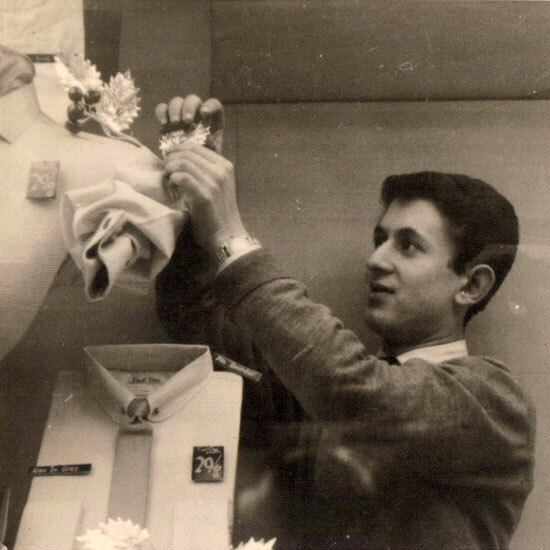 But what really sells the DVD and in turn, John Simons itself, is the passion and the enthusiasm for John Simons throughout. This is a DVD that will have you re-evaluating your wardrobe, browsing the Simons website and checking the train times for a day trip down. 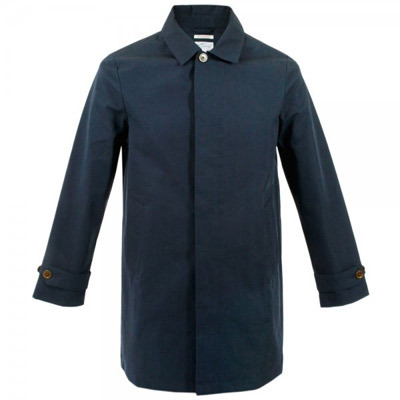 If you have any interest in mod, you’ll know that buzz of excitement you get when you find that item of clothing, whether it’s the perfect button down, the jacket, or the loafers. That must-have item regardless of how low your bank account is. That’s the kind of ‘buzz’ you get from this DVD. The mix of words, archive imagery and modern-day ‘sweeps’ of the store racks really do showcase everything that is great about the retailer and his philosophy. 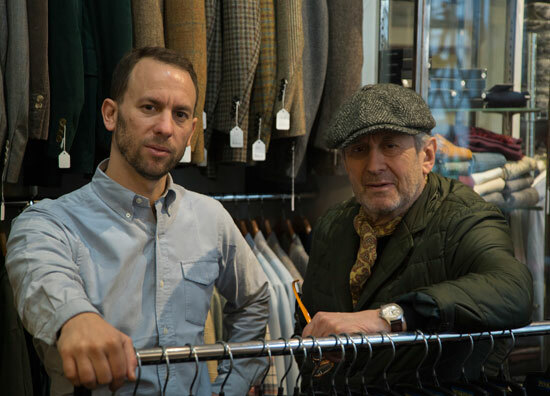 If you’ve looked at John Simons or read about the clothes and haven’t quite ‘got’ what it’s all about, then this is the documentary for you. A wonderful overview of a man who has been under the radar for too long. At least, for those who aren’t in the know. One comment in the DVD suggested there should be a statue of John for the work he’s done over the years. That might be a bit extreme, as both the shop and this DVD are tribute enough to the man and his passion.